The points here at Whiskybase are currently at 85.84 in 21 reviewers. Nose was a bit disappointing at first, it took some time until aromas developed. The Taste was much more complex. Sweet sherry influence combined with some salt and bacon. A lot of peat, cold smoke, ashes, the influence of a permanent seabreeze. Just wonderful - the ABV was integrated nicley and did not need any water at all. Just a really nice peated dram! Bottled a tad too young. Peat, malt, fig, butter candy and popcorn. With water there's a citrus note like in weizen beer. 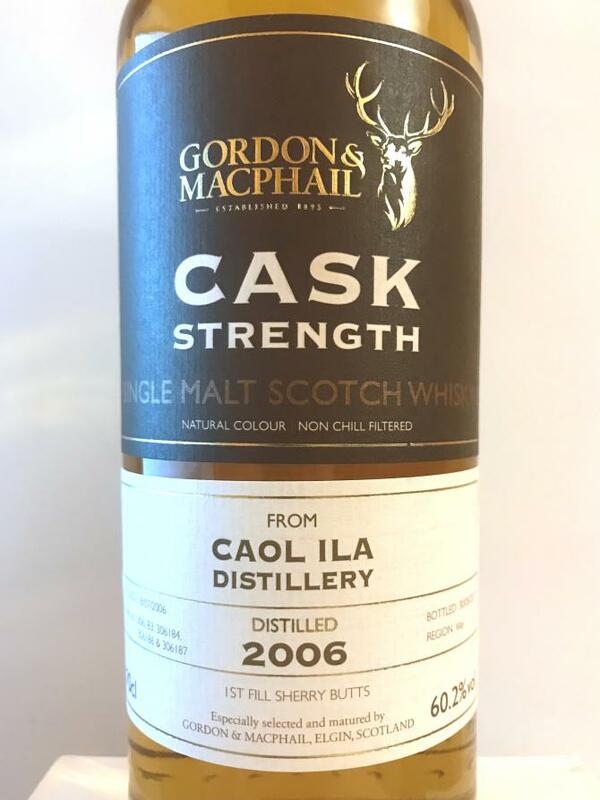 Peat, malt, apple and lemon. Printen when adding water. Peat, apple, caramel and lime. Young peat. Vegetal. Powerful. Oily. Taste like a young Ledaig. Not bad, but nothing to write home about. 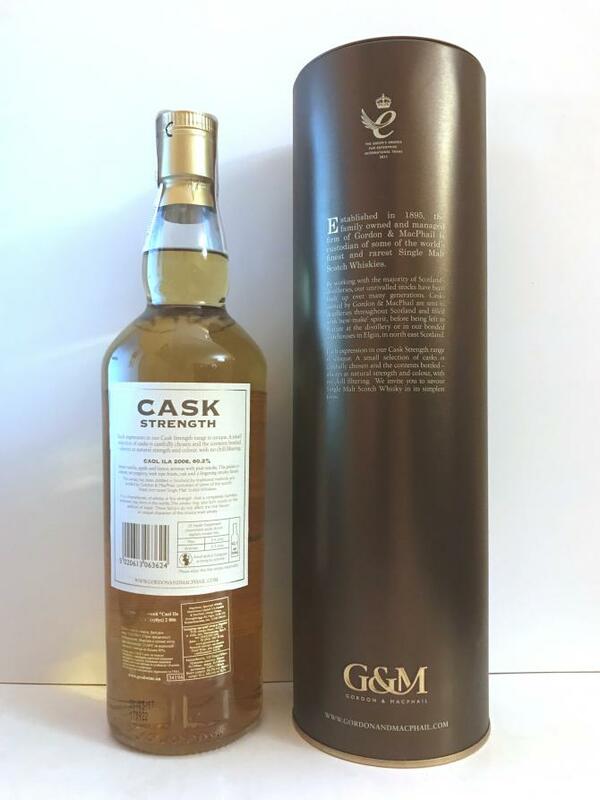 This particular seemingly nondescript cask was made famous by Serge (92 pts) but I don't see how this is special. Oily, funky, vegetal peat (not my favorite kind of peat), powerful. Refill sherry. The flavors go up the nose and burn a bit. Water is obligatory -- noticeably better. Add liberally. 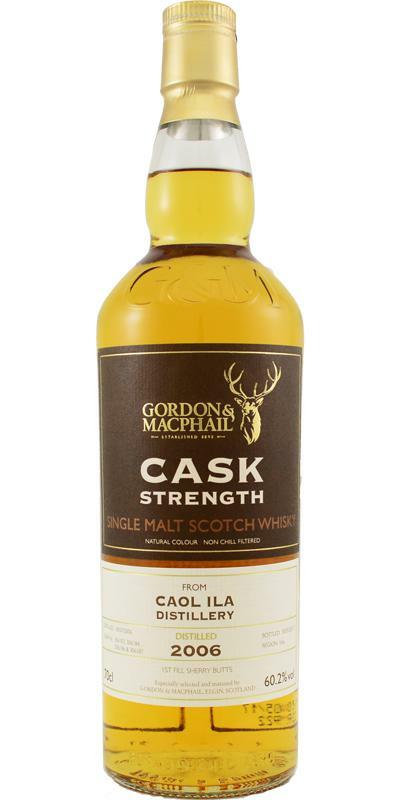 Powerfull and rough whisky, hefty, with lot's of high Abv influence. Still enough room for other tastes, pungent and warming. Peat and smoke, tobacco, fruity as well. Apples, strong alcohol, honey and vanilla. Strong, pepper, very pungent and warming, sal ammoniac. Alcohol is very strong and prominent. Sweet, honey, oranges, some chocolate, caramel and tobacco. Still a lot of pepper and alcohol, strong, warming. Bonfire smoke, peat, fruit, caramel. Long finish. 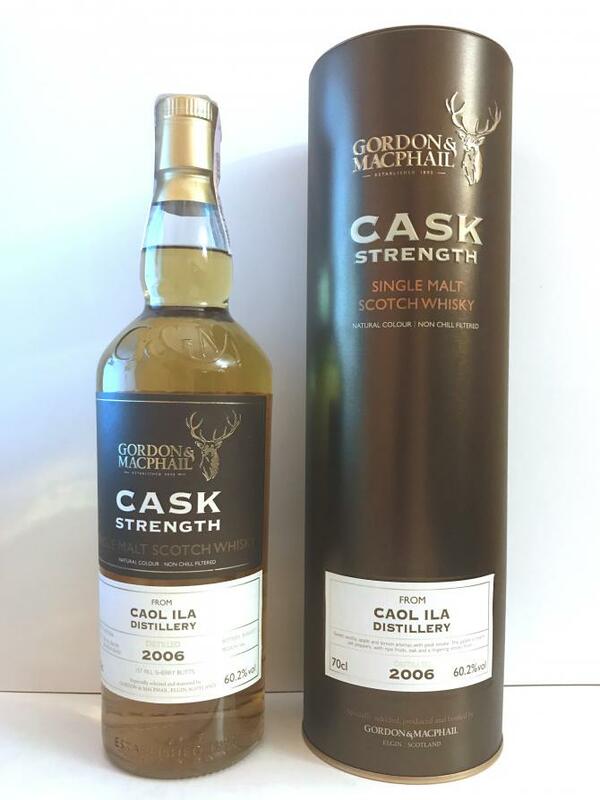 An excellent young Caol Ila, hard to find any sherry influence here, but the quality of the distillate is really good. Austere, a lot of seashells, sea salts. Pear drops and "sourness" from the new oak. BBQ meat, a modern young peater without the disgusting new oak and artificial nuttiness I found from others. A really smooth mouthfeel despite high ABV. Intense and minty, a lot of sweet barley. A rather long finish with camphor, dark chocolates, a lot of spices.